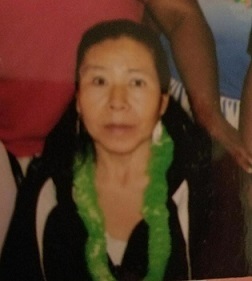 11/30/17 — Onorina “Lola” Tercero has been found safe. 11/30/17 — Onorina “Lola” Tercero, age 55, was last seen on November 29, 2017 in the area of I-45 and North Main in Houston, TX. Ms. Tercero has a seizure disorder. She was last seen wearing dark gray sweatpants and a dark colored sweater. If you have any information on Ms. Tercero’s whereabouts, please call the Houston Police Department at (832) 394-1840 or Texas EquuSearch at (281) 309-9500.